Cutting from the Northern Times 16/1/1981. 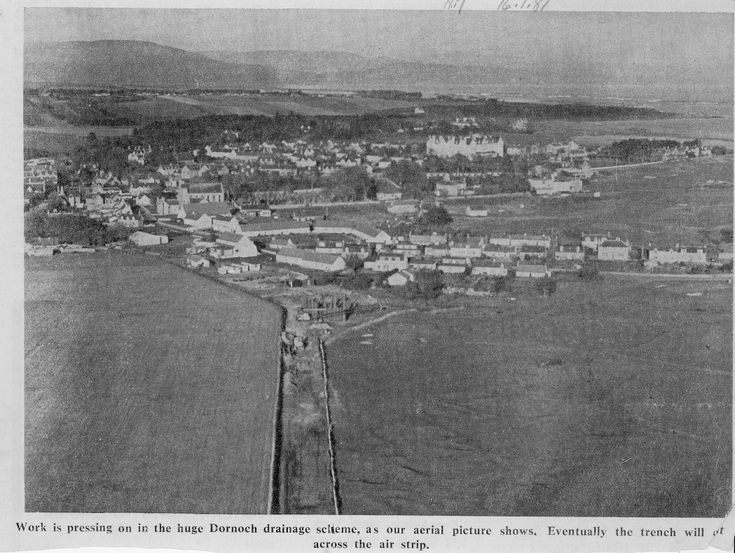 Aerial photograph of Dornoch showing the construction of the new drainage system. Pasted to an index card.